In the fifty years that Mazda has been in Canada, we’ve made some iconic cars over the years, like the legendary Miata convertible. But while the Miata has made us famous worldwide, our most popular cars are the beloved Mazda3 and the CX-5 SUV. Let’s take a closer look at each of these models, and at the different trim options, they come in. 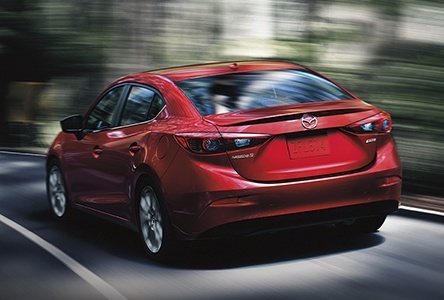 The staple of the Mazda fleet, the Mazda3 comes as a Compact Sedan and as a Sport Hatchback, ideal for zooming around the city yet with enough trunk capacity and versatility to be practical. Mazda is famous for its refined interior and exteriors, and these models justify their reputation. The high-end finishes inside are a match for the sleek curves and design of the outside. The 2018 models come with all the best cutting-edge features, including Mazda’s award-winning G-Vectoring Control SKYACTIV technology. To get a real sense for how SKYACTIV makes a difference in the driving experience, visit your local Mazda dealership in Toronto for a test drive so you can feel the integrated control between the chassis, transmission and engine, and just how strong the overall connection is between driver and car. The Sedan and Hatchback both have a wide range of i-ACTIVSENSE technology that detects potential hazards around the front, back and sides of the car. If you want to know more about how this advanced technology can actually prevent real-life collisions, you can check out our virtual showroom to learn about safety features like Pedestrian Detection, Smart City Brake Support, and the Distance Recognition Support System. Whether you’re in city traffic, switching lanes on the highway or backing out of a parking lot, you and everyone around you will be safer with these new features. Between the style, power, comfort, safety features and the price, it’s easy to understand the widespread popularity of the Mazda3. 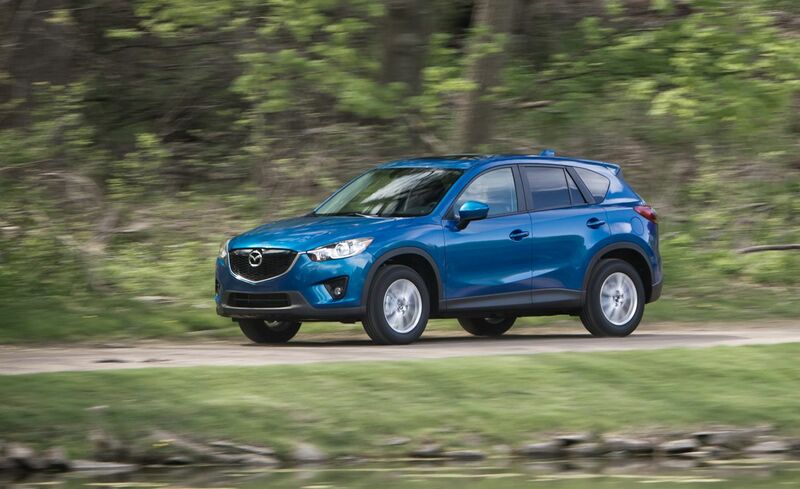 The CX-5 SUV has the same i-ACTIVSENSE safety technology features and G-Vectoring Control as the Mazda3 and combined with Mazda’s superior design, this makes the CX-5 an SUV with unparalleled handling, responsiveness and stability. The new 2019 CX-5 has a turbocharged engine that offers best-in-class torque, but it’s also extremely fuel-efficient (from 7.6 l/100km on the highway). You won’t believe a car that drives this way costs so little at the gas station. The SUV’s ruggedness really comes to bear in the i-ACTIV All Wheel Drive, which uses no less than 27 sophisticated sensors to detect when your tires need better grip, and makes sure the vehicle can deliver the necessary traction just when you need it. Whether it’s black ice, snowy roads or sudden squalls, this is an SUV that’s designed to withstand Canadian winter. The 2019 CX-5 also has a seriously upgraded infotainment centre — it can sync up your messages, phones calls and music from your iPhone or Android phone, and comes standard with the basic trim package. There is also a premium sound system with no less than 10 Bose speakers. If you want to see these or other models in person, don’t hesitate to contact us for help anytime at all. We’re glad to walk you through any questions you may have or set up an appointment to see the cars in person — we can tell you a lot about any car, but nothing replaces driving it yourself.